How about breakfast for dinner tonight? I’m so excited to share these simple breakfast quesadillas with you, finally! They’re way more fresh than standard diner fare, but just as satisfying. 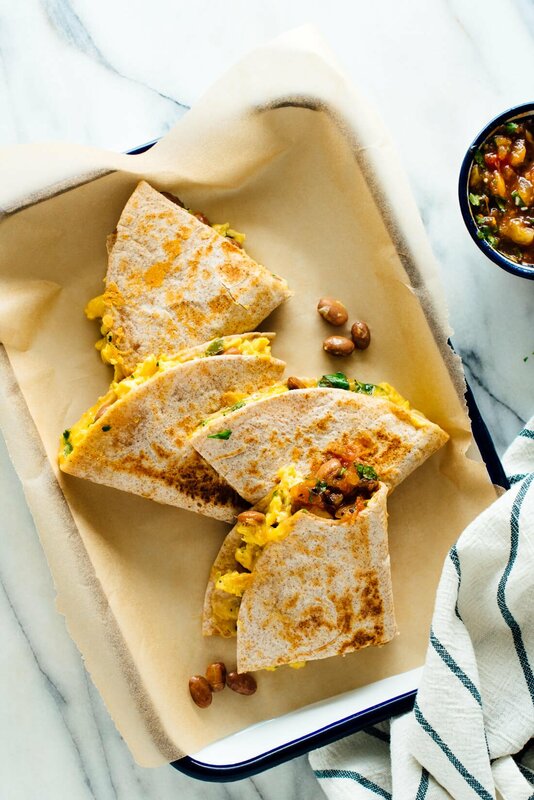 These breakfast quesadillas are stuffed with fluffy scrambled eggs, melt-in-your-mouth pinto beans, fresh herbs and gooey cheddar cheese, all of which contrasts so nicely with the crisp, golden exterior. These delicious high-protein quesadillas come together in about 25 minutes. As much as I love the flavor combination shown here, I should mention that this recipe is quite flexible. If you’re in a big hurry, you can skip the herbs. If you’re looking for a lighter meal, I think you could get by without the cheese. Want to switch cuisines? I like the idea of mozzarella, basil and marinara instead of salsa. 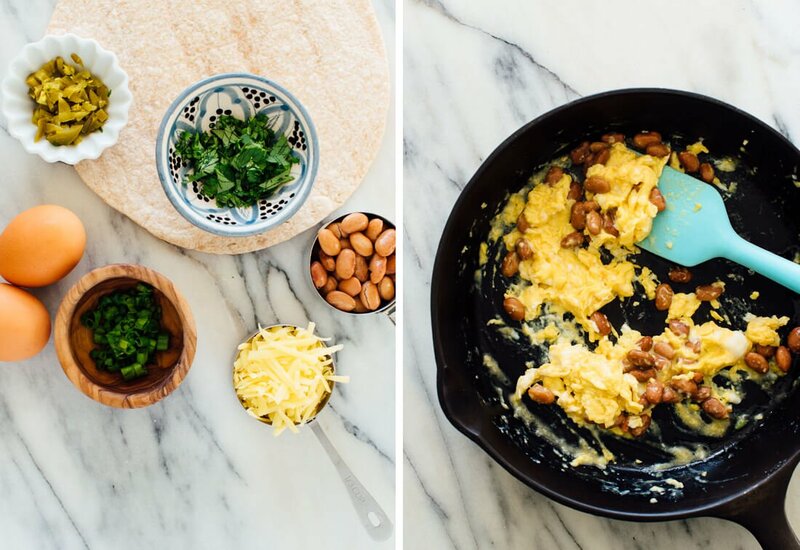 The post Simple Breakfast Quesadillas appeared first on Cookie and Kate.